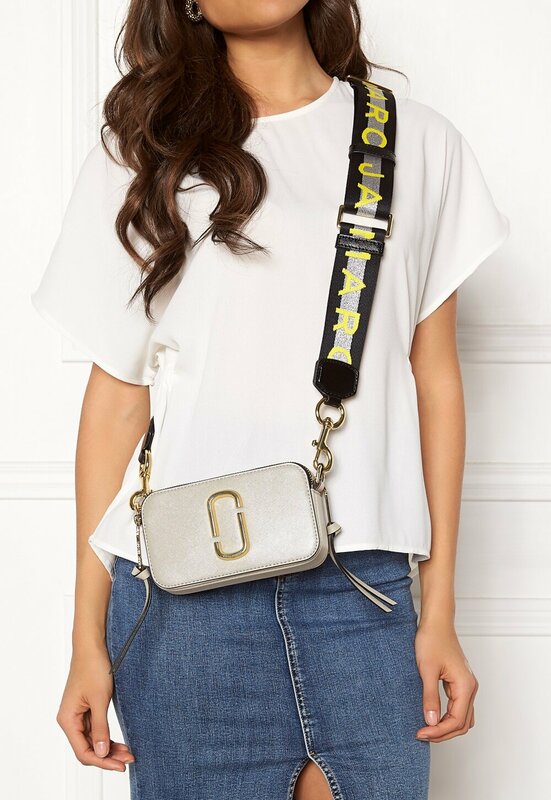 Trendy shoulder bag in real leather from MARC JACOBS. The bag has a smart design with numerous compartments. - Metal applique on front - Embossed logo on upper - Adjustable and detachable shoulder strap - Two zippered compartments - Outer back compartment with decorative stitching - Dustbag included Length 18.5 cm, width 6 cm, height 10.5 cm. For returns to be accepted, the bag must be undamaged and returned with the original dustbag.